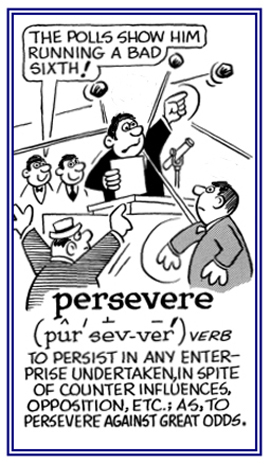 Nothing in this world can take the place of persistence. Talent will not; nothing is more common than unsuccessful people with talent. Genius will not; unrewarded genius is almost a proverb. Education will not; the world is full of educated derelicts. 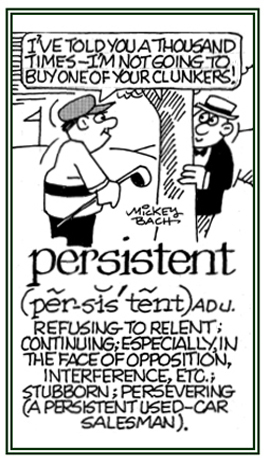 Persistence and determination alone are omnipotent. The slogan “press on” has solved, and always will solve, the problems of the human race. 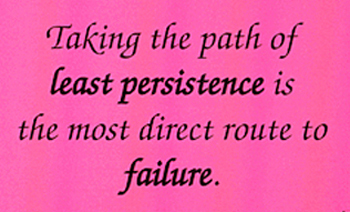 Taking the path of least persistence is the most direct route to failure. Rest, if you must—but don't you quit! 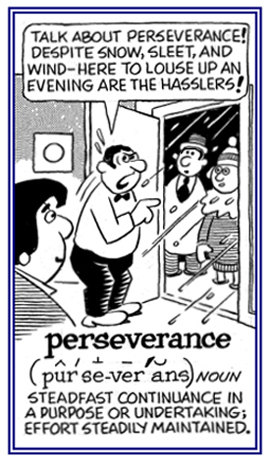 Beyond talent lie all the usual words: discipline, love, luck—but, most of all, endurance.